Shazam has started to warn users of upcoming changes to the way their data will be handled following the acquisition of the music recognition service by Apple, with data being transferred to the iPhone producer's servers and maintained under Apple's privacy policies, rather than Shazam itself. 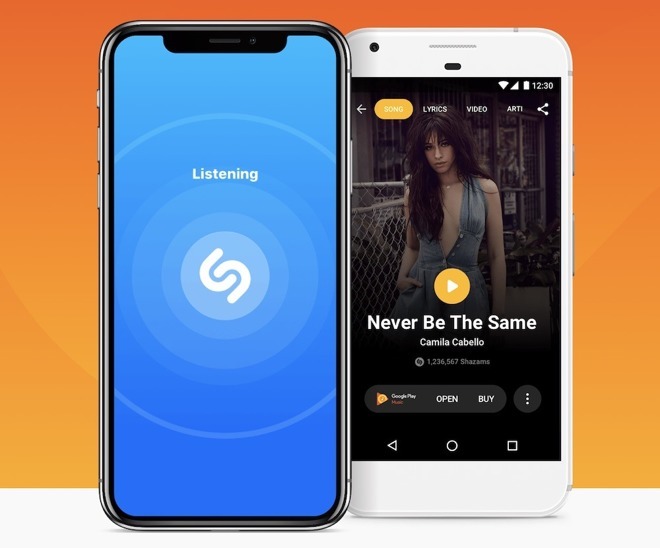 Appearing just two months after the completion of the deal to buy the company, the notification in the Shazam app and a warning on the Shazam website advises of changes to the service, if the user has a previously-created Shazam account. The notice, spotted by iGeneration in both the iOS and Android versions of the app, appears as a small extra banner at the top, complete with Apple's privacy logo and a button to instantly agree with the changes. On the website, a notice advises "Your Shazam data will be moved to Apple and aligned with Apple's privacy practices." Users wishing to delete their Shazam account are offered a "Delete Account" button at the bottom of the page. If requested, the account is removed and personal data associated with Shazam erased, including the user's email address if they signed in with Facebook, Facebook ID, and any personal data shared with the service via Facebook. A user's "Shazams" will remain available in the app, but they will not synchronize between devices, and will not be accessible if the app is uninstalled then reinstalled. "If you continue to use Shazam without an account, your Shazam data won't be associated with you," the web notification continues. While analytics logs for Shazam usage won't be erased, the logs won't be personally identifiable once the account itself is deleted. The acquisition by Apple, which was initially announced in December 2017 and received EU regulatory approval in September, is believed to have cost the company an estimated $400 million. Considering the existing integration with Siri as well as the connection to Apple Music, it is likely that Apple will use the technology behind the service to bolster its other products.